Valentine’s Day is just around the corner, is this something you celebrate in your house or does it just pass you by as any other another day? I find with days like this that it’s always best to just adapt them to the way they best suit you and your family. Which is why today I am going to suggest that for this Valentine’s Day you try sharing some book love instead. There has been a change in theme around Valentine’s Day in recent years, with people instead focusing on love they have for others rather than being just in-love with the just one person. Although there is, I think, a place for both. We have even seen an emergence of parents sending Valentine’s Day cards to their own children. However, as we all try to ditch plastic more and focus on leaving the environment in a condition our children will be able to live in once they reach adulthood in 2019, perhaps it’s time we changed things. Cards often come wrapped in plastic and are disposed of after a week, chocolates usually have plastic wrappings trays. Even the synonymous bunch of roses usually come encased in cellophane. So I would argue that perhaps Valentine’s Day is now the time for books. There is something so incredibly thoughtful about researching and buying a book for someone special in your life. I’m not talking about walking into a bookshop and buying something off the bestseller list. I mean researching a subject or genre they are really interested in and enjoy reading, and finding that very perfect book you think they will love. A book can be re-read and enjoyed for many years after it is given. A favourite recipe in a cookbook, helping someone relax with a mindfulness colouring book, teaching your children about the meaning of love and acceptance. Giving someone a book to help them grow and develop a new hobby. 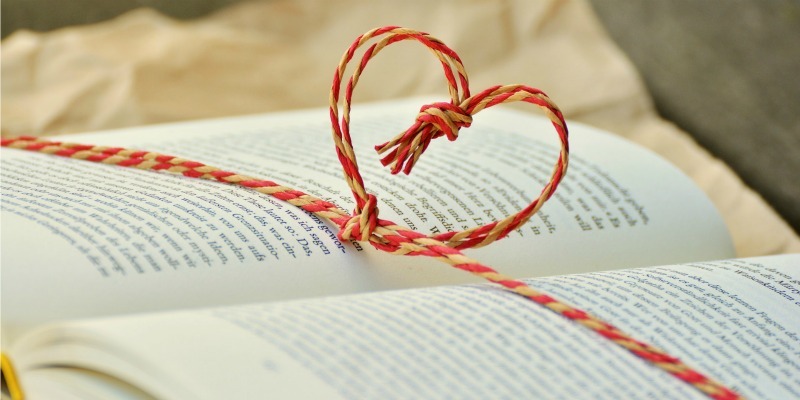 Maybe you could make it an annual tradition to give a book to your child(ren) or spouse a book each Valentine’s day after spending time exploring your local book shop to find something just for them. If you’re looking for some inspiration for some books if you want to get one for your little one have a look at The and the Fox who have 5 great books when you need a hug. A classic is Guess How Much I Love You which I reviewed on my blog a couple of years ago and one we love still. At bedtime my children and I regularly say ‘I love you to the moon back’, so it is a book that will always have a special place in my heart. So why not start a new tradition this Valentine’s Day and give your loved one, or someone you love and are grateful for, a book you think they will enjoy. Laura is a Mum of three, as well as a freelance writer and blogger at Laura’s Lovely Blog. A consummate bookworm, she thanks the Gods of invention for the eReaders because she can now hide just how many books she’s buying. A bit of a magpie, Laura has a bit of a handbag addiction and is lover of lovely things. She also writes about gratitude and positivity, as well as life as a Mum of three. You can find her on Twitter @laurasummers or Instagram @laura_summers.